We're showing information for 61356. Customers and consumers are more informed concerning their purchasing options than ever. They look at reputations and business records, choosing the business that can best address their specific needs. That means the Illinois market is always getting more competitive. Having a fast, reliable Internet connection can give your Princeton, Illinois business a hand up on the competition. Frontier Business packages offer a variety of phone and Internet services—including Business High Speed Internet—designed to help you stay connected with both your customers and employees. In an aggressive market like The Prairie State, businesses need to invest in tools and services that will give them a competitive edge. Since the job-growth rate is expected to reach about 16.16 percent throughout Princeton, you’re not just competing for customers—you’re fighting for top talent, too. That’s why Frontier’s services for small businesses provide a wide range of features to help you extend your reach and maintain relationships with clients, potential employees, and prospective partners. Use Texting for communicating with staff and clients and promoting sales and events. Use Conferencing to make plans and set expectations for your staff. Stay connected and protected with Managed IT. And use Frontier’s Web Development and Hosting services to make it easy for customers to find your company online. A number of Illinois companies are getting larger and expanding their reach. While growth is positive, it also brings new obstacles that must be overcome if a business wants to thrive. Frontier’s Enterprise Solutions can help you get through this transition phase while preserving growth and ensuring long-term success. Our scalable Ethernet (Local Area Network and Virtual Private Line) systems give you the flexibility and speed you need to meet fluctuating bandwidth requirements and connectivity demands, while our IP Virtual Private Network provides access to digital resources over a secure IP connection. While scalability is important, Princeton businesses will need to go further in order to retain a competitive edge. 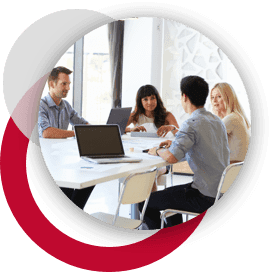 Frontier Communications keeps you in touch with your clients wherever they are with dependable phone lines and superior sound-quality. 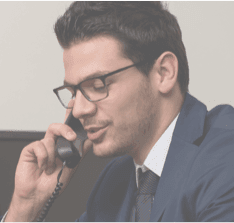 With Centrex from Frontier, you get high-quality telephones with advanced features that are easy to use, while we handle all the rest—hosting, network design, equipment, monitoring, and more—so you can focus on connecting with customers anywhere in The Prairie State. On top of that, the Hosted VoIP solution includes the basic features you’d expect such as Caller ID, Voicemail, and unlimited nationwide calling, in addition to voice-to-email integration and superior sound quality (thanks to Frontier voice solutions). In every industry--whether it is Health Care, Finance, Education, or Retail--customers want to quickly connect with reliable service providers. The residents of Princeton, IL have the same expectations. Future clients should be able to contact your business over the phone, online, and in person?and if you make those interactions easy and productive, those clients are more likely to become loyal customers whose business you can count on. Frontier offers communications solutions that are tailored to your industry--and these resources can make it easier for you to connect with your clients and employees. Plus, you get high-quality equipment, round-the-clock customer service, and dependable infrastructure in your area. In 2013, there were 0 cybercrimes reported in Illinois. With that many cybercrimes going on, you can’t afford to not protect your Illinois business. By investing in Frontier Secure, you can protect your important data with malware and virus protection. Plus, you get access to cloud backup and expert customer services in the event that something goes wrong. And Frontier does more than keep your business safe online. You can also invest in equipment replacement programs, which protect your company’s computers and other necessary physical assets. Want a faster Internet connection? Turn to Frontier. Frontier offers speeds up to in Illinois, meaning that your business can handle all of its online tasks in almost no time at all. You’ll get lightning-fast access to the tools you need to do your job. You’ll be able to keep in touch with clients, share information, and grow your business with ease.